The Downtown Sailing Center is partnering with Wolfe Street Academy and Bay Brook Elementary Middle School to offer STEM Sailing Summer camp. 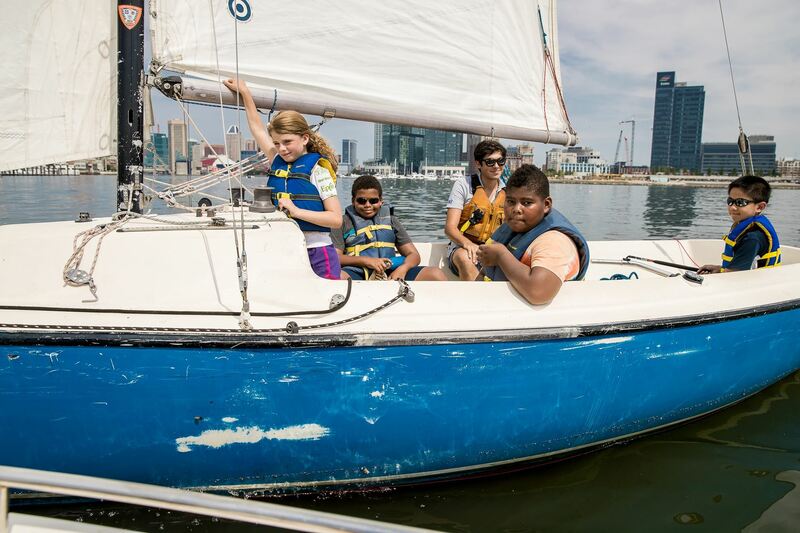 Generously supported through the Family League Extended Youth Fund and the Kahlert Foundation, our STEM Sailing Camp will give youth an opportunity to have fun, experience the joys of sailing, and relax in a safe and welcoming environment. Bay Brook Elementary Middle is in the Baybrook community of the Brooklyn neighborhood; Wolfe Street Academy is located in the Upper Fells Neighborhood and it is supported by the Baltimore Curriculum Project. While each program is unique in its scope, both programs utilize US Sailing's Reach Program, where sailing education meets science experiments and Ocean Literacy education.